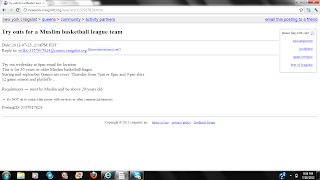 Looking through Craigslist the other night I came across the following adverstisement. So in keeping with the sports theme of last night, I decided to post it. Startng mid september Games are every Thursday from 7pm or 8pm and 9 pm slots . 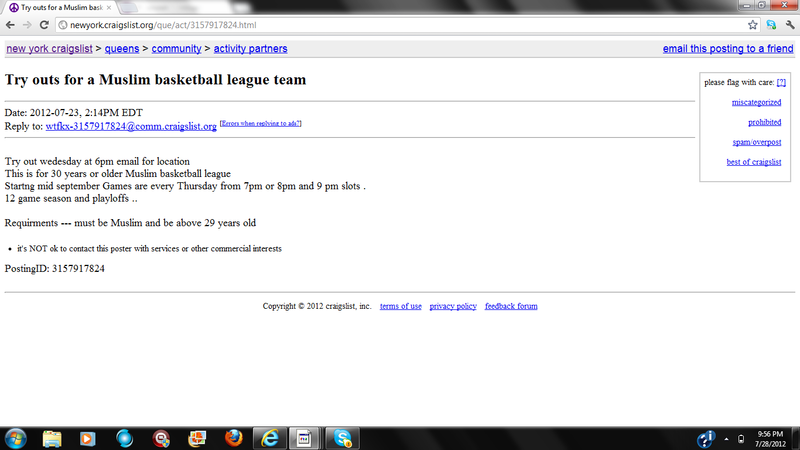 After doing some homework I found out that the location of the tryouts for the Allah only league is I.S. 010 Horace Greeley. Clemente Lopes is the Principal, and the school is located at 45-11 31ST Ave,Queens, NY. How will they know if a potential player is a Muslim? Will they ask them if they want to kill Jews to reach judgment day? What happens if the player apostates from Islam during the course of the league? 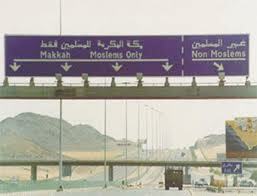 The call for the separation of Muslims and non-Muslim reminds me of Mecca…..(picture). The school can be reached HERE. ← US Women’s Beach Volleyball Olympic Team: We WILL Stick With our Bikinis! 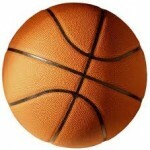 What would happen if we tried to have a Christian only league formed and use a school to play?